Fans and critics agree that the following Perry Mason novels by Erle Stanley Gardner rank the best for courtroom fireworks, convoluted plots, and swift pace: The Case of the Lazy Lover (1947), The Case of the Lucky Loser (1957), and The Case of the Foot-Loose Doll (1958). I would argue, however, that The Case of the Hesitant Hostess (1953) should rank among the best because of its setting and atmosphere. Gardner examines the process in which a gang makes pots of money by opening nightclubs and gambling joints. Punished for their good looks by being coerced to become shills, hostesses distract suckers from realizing they are victimized in crooked games. Unwary squares find themselves in trouble as rubbing elbows with crooks gradually turns into helping said bad guys do their dirty work or paying big costs like death, injury, and disability when not paying up. Given enough venal ruthlessness, Gardner finds, gangs find it relatively easy to gain control of a medium-sized burg, corrupt the police department, and stymie reform with bribes and violence. The gritty noir setting and tone remind us of Gardner’s other series featured the PI duo of Bertha Cool and Donald Lam. Crime doesn’t not come out of everyday stuff like infidelity or personal indiscretions. Instead, the crime is the outcome of a complex criminal scheme. Gold Comes in Bricks (1940) is about an intricate fraud. Turn on the Heat (1940) examines the corruption of local politics: seedy cops, crooked politicians, co-opted news reporters, mean gangsters, and cowed citizens. Top of the Heap (1952) is about gambling hells, income tax scams and fraudulent gold mines. All Grass Isn’t Green (1970) is about the ins and outs of dope smuggling for criminal syndicates. Gardner took endless interest in process, such as how gangs succeed, how detectives ferret out information, how the cops manipulate and prime impressionable eyewitness to misidentify blameless people as perps. There are lapses in this Hesitant Hostess. We don’t even get the name of Mason’s client until the fourth chapter. Perry meets one of Drake’s operatives, talks to him at length, and we never get his name either. We are told Perry and Della win in a casino but are not told what they played. Chapters 3 and 16 are so long – unusually long for Gardner – that we wonder if Gardner just lost track of the length of his usual chapters. The motive for framing Mason’s client rather wilts under scrutiny. But I quibble. To both Mason fans and newbies, I highly recommend this mystery as one of the more tightly plotted and atmospheric Perry Mason novels from the Fifties. Congratulations Jennifer, your book is on the way to you! Thank you to everyone who commented on the blog! I recently read Evidence of Insanity by Carol Piner and she generously offered to be interviewed for our blog. Piner’s book is a compilation of tales that work together to showcase the life of the main character Callie, a character based on the author herself. As a proud member of the GRITS (Girls Raised In The South), I found some of the stories hilarious and true to the craziness that is southern living. While some of Piner’s stories are outrageous, some are touching. In this interview, Piner tells us more about her inspiration, writing process, life in the south, and what makes her tick. Mwelday for PBS Blog (MW): You consider yourself a storyteller. What made you decide to take the leap into writing a book? Carol Piner (CP): I have always been a storyteller and the stories in the book are ones I have been telling all my life. I not only always wanted to write a book about them, but I always intended to. It was a matter of timing. Once I lost my office, and I had nothing to do, it was time to finish it. With a bow to my humor, I always said I was waiting for the important characters to die off so they wouldn’t sue me. That was not completely a lie. I never wanted to write it while Mama was alive because I knew it would hurt her. I couldn’t do that. I set it in Carteret County because I wanted the people who talked about us to read how cruel they were. It escaped hurting me for the most part, but it hurt the other children and Mama. After things happened, I tended to find them funny, so it was a clean slate for me. MW: I imagine there could have been some colorful language provided by your characters. Why do you think you chose the short story method as opposed to a novel with dialogue? CP: Again, I wrote the stories as I told them. Some were repeats from stories I was told. I didn’t even touch the surface of stories about my family. Dialogue was not even an issue and I think it would have slowed it down. I wanted it fast, but hopefully gripping. I have always been far more interested in what people did and why. I am interested in people’s interactions with each other and what generates them. I am currently writing a book called “Bitcherooni and Buddy” and it is along the dialogue theme, but still very funny and somewhat psychological. I am also writing a more literary novel called “The Laugh”. It is set in the late 1800s. I think it is going to be quite interesting because I love that time period and how people treated each other. I have always been drawn to that gentility and good manners, even as a teenager. MW: You begin your book with a lot of violence and chaos. Why did you choose this approach? CP: I began with the chaos because that kitchen and the “plays” created in there were what I remembered most when I thought back. Although all the children were relatively young, our personalities had already been formed and they never changed. Mama and Daddy were catalysts that set us off. Personally, I loved it. I never saw it as violence. I have heard it called domestic violence before. It was simply all we knew. We thought all families were like that. The kitchen and what went on there was more like a staging in a play and we all knew our parts. MW: Do you believe in the nature vs. nurture theory? If yes, which do you tend to support the most and why? CP: Nature or nurture. I must say, strictly based on my life, that it was all nurture. I believe if we had two different parents, things would have been different for all the children. Daddy was a womanizer. So was Jimmy and Teeny (their real names). Mama smoked, was an alcoholic, and was drug addicted by the time she died. Not one of the girls have ever been hard drinkers or ever smoked at all. Marybeth did fall to the prescription medicine lure. So, I don’t believe it’s all inherited. Me…my whole goal in life was to not end up like any of them, and I succeeded. I grew up determined to do just that: work and succeed. MW: Your character’s story begins with her growing up in Carteret County, NC and she identifies several things she doesn’t like about the south (fire ants, not being able to keep secrets, the heat). I grew up in SC and can relate; I dislike those things as well! But there are also some things I love about the south. I know your book isn’t a direct autobiography but you did grow up in the south. What did you love/hate about it? CP: I loved the South. I hoped my commentaries about the freedom, the beach, and the water expressed that. Although poor, Carteret County has beauty everywhere. Even the docks are beautiful when you see how happy the tourists are visiting here. The things I mentioned in the book were simply because they were irritants in Paradise. I have lived in Pine Knoll Shores, N.C., Charleston, S.C. and Lancaster, PA. All are gorgeous. I have been blessed. MW: Your character, Callie, addresses her love of reading more than once. What are your favorite authors or books? Why? CP: I am always at a loss when asked about favorite authors because I have so many. They include authors such as Elizabeth George. I love her. And any writer that wrote about the 1800s, such as Jane Austen. I love Charles Dickens. Anyone who writes about the law such as John Lescroart, Greg Illes, Scott Turow, and on and on. I love any book whose writing is intelligent and well researched. You learn from your reading regardless of what it is. MW: Your title, Evidence of Insanity, is repeated several times throughout the book. Do you think most people at some point in their lives think their families exhibit evidence of insanity? What can we do to break out of this cycle or do things unlike our families? CP: I have sold over 2500 books and that does not include Amazon, Lulu or AuthorHouse. I have made tremendous friends and they all tell me stories of chaos in their homes: the out-of-control brother or aunt or their own personal rebellions. Do I think it’s everywhere, no. Do I think it’s widespread, yes. As for what we can do about it, that gives me pause. I see and hear about the atrocities committed by young and old and I worry for the future. Somehow we have to reach back and begin to treat each other with respect. It does not appear that in the texting age that is being done. I heard of a study today that said parents are on their phones more than their children, leaving children without parental directions. MW: I agree. Some members of society seem to relish in treating people badly and without respect. Along those lines, Callie experiences a variety of complicated relationships. What do you think makes for a healthy, uncomplicated relationship? Is there any such thing as uncomplicated relationship, in your opinion? CP: Callie was me and my relationships were definitely unhealthy, but I learned something from each one. Eventually I came to understand I was an enabler and had to stop it. So, until I can do that, I will do without a relationship. I have always been very happy alone. I can trust me. It’s as simple as that. I am not speaking of wandering eyes. I mean I can take care of myself and intend to. As for an uncomplicated relationship, the marriage between my sister, Crystal, and her husband, Dave, is one I consider very healthy. They were together 40 years before he died. Although they lived in Wisconsin, they came to see me every year and how they treated each other showed their love and affection. She came a long way from Aunt Ella’s and I am very proud of her. MW: What feelings or thoughts do you hope your work evokes in your readers? CP: I was very surprised when I asked Rod Cockshutt to review my book for me. He was a reviewer for the Raleigh News and Observer. His review makes me shiver to this day. I never expected words like, “amazing accomplishment for a first time writer”, “poignant” and he finished it by telling me not to, under any circumstances, change the last 10-15 pages. And he read the very, very unedited version. I want people to realize you can laugh regardless of the circumstances. Things will look better tomorrow. Turn your back to the painful. Keep going. Be patient. Show restraint. Use your mind. Believe in yourself. I have had those who asked was the book cathartic. Absolutely not. I still live right where it all happened and people are still talking about us. What could possibly be cathartic about it? MW: You painted the cover art for your book. If you had to choose one medium…visual art or writing….which would you choose and why? CP: Visual art or writing. I see them as compatriots of a kind. Each painting is a thought brought to light, just as writing is. My paintings are very happy and colorful. That is who I am. Writing makes me put my mind to use. I am 65 years old, but I am energetic, happy and my mind has never stopped churning. Currently, I am reviewing for Kindle Book Review and I get lots of good books to read and review. I contribute captions to pictures on Cheezburger.com under the screen name NCcharmer. I have been curious about doing reviews on PBS. I am still new and don’t know how yet. I will not be doing either until I become bored with what I am currently doing. Then, I will be ready to do something else. First, I will probably finish my books because I can see the ending and how to get there. MW: I love newcomers to PBS, it is one of my favorite websites. So, welcome to PBS! We’re glad you found us and want to be a part of the site. The site has many wonderful sections, including discussion forums, donation opportunities, games, a showcase for member writings, and much more. But, at the heart of it all, we are a community of readers willing to share our love of books with one another. What would you consider the best book someone has shared with you? CP: The best books shared with me were sent to me by my friend, Linda Cloe. She is a member of PBS and sent me a book by Deanna Raybourne. It is about Lady Jane Grey and I become totally involved in it. I have read four and am waiting for the release of another. In the meantime, I will take whatever I can get my hands on. I seldom read a book I don’t like. I know I’m not the only PBS user who will agree with that sentiment; we love books and read all kinds! Thank you for sharing your book with me for this interview, it felt like I was given a real opportunity to get to know you as a person through your character Callie. Your unique writing style felt more like sitting in a room with a friend listening to her stories than actually reading. Thank you for contributing your time for this interview and we hope to see more of you on PBS! If you’d like to win a copy of Carol Piner’s Evidence of Insanity, comment on this post. And you don’t have to be from the south to win, a winner will be chosen at random from all comments by PBS members. Good luck! Congratulations, Sarah! Your book is on the way to you!! This excellent courtroom mystery begins with our narrator Michael Irvine in a dour mood. In the north of England in a crowded set of chambers, he is forced to double up in a broom-closet of an office with The New Guy. The New Guy turns out to be woman barrister Marion Kerrison, who, on the bright side, is about the same age and has the same depth of legal experience as Michael. Over time he recognizes that while she may be young, green, and reckless in court, she’s brilliant, insightful, and possesses amazing gifts for speaking and cross-examining. Marion gets her once-in-a-lifetime chance in a high-profile murder case. She must defend a shady Australian named John Maudsley, charged with the murder of his aunt. The two witnesses for the prosecution give unassailable testimony. Maudsley doesn’t help himself by looking deceitful and acting over-confidently. Nor does Marion when she flies off the handle in court and rankles the judge. She intuits that it was a second man, not her client, that did the deed. I was always moved too easily: by the death of Steerforth, and the perplexities of John Forsyte, by Soames walking in his picture gallery in Mapledurham, Uncle Pio, Natasha at the window in the summer night, and the dying fall of the words that record the passing of Socrates. David Copperfield, The Forsyte Saga, The Bridge at San Luis Rey, and The Apology, but who’s Natasha? Where was her window? Still, these are mere quibbles, questions easy to answer in our wired world. I agree with James Sandoe, a critic for New York Herald Tribune, who ranked this mystery “among the very best of that long, diverse series of detective stories set within the formalities of a trial.” In 1956, it won the Crime Writer’s Association Golden Dagger Award, when it was called (say it three times fast) the Crossed Red Herring Award. Summer 2013 Referral Reward Contest! 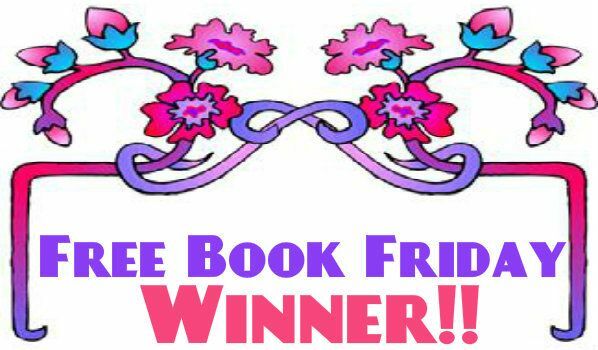 This contest is easy – refer members to PaperBackSwap, and win Book credits! You already get Book Credits for referring other members, as you know (if you don’t know, see How do I refer others to PBS?). Now, during the Summer 2013 Referral Reward Contest, your referrals can earn you even more. 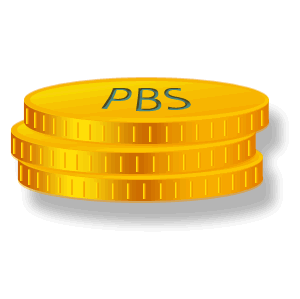 When those new registrations are completed and the accounts active, you will earn your usual, automatic rewards (read How do I refer others to PBS? for details). Each Monday, the member with the most active/completed new referrals (the WoW or Winner of the Week) will win 5 Book Credits! Each month (end of May, end of June, end of July, end of August), three winners will be announced – First Place WoM (Winner of the Month) will get 10 Book Credits, Second Place WoM will get 5 Book Credits, and Third Place WoM will get 2 Book Credits. At the end of the summer (September 1st 2013), the member who has made the most eligible referrals will be the Overall Winner (OW) and will get 25 Book Credits! Referrals must complete registration by providing name, email address and mailing address, and listing 10 books that belong to the new member that he or she will send out upon request. To give everyone a shot at winning, no one can be WoW more than once in a month, or WoM more than once. But you can be WoW in one month and then WoM that same month, and you can be WoW for 2 or more different months. In case of a tie – the member who reaches the most referrals first (earliest in the week or month) will be deemed the winner. Make a public profile – and give the Nickname when you refer. Not only does it keep your email address private, but it makes sure that the new member specifies you as his or her referrer. Remember, a name (first/last) will not record the referral. A Nickname will, though. Information and instructions about this can be found in How do I choose a PBS nickname/make a public profile? print bookmarks, business cards, flyers. Personalize them with your referral information with one click! It’s much easier to pass a business card to someone at the library, instead of hunting for paper and a pen to write out the information. Carry the bookmarks/business cards with you. Put the flyers up in community areas that allow public announcements to be Posted. cyber share. If you have a web page or a blog, include the code on the Spread the Word page for linked icons – be sure to personalize them so that your referral is embedded, and when someone clicks and then registers, you are recorded as the referrer automatically. You can also tweet, or share on facebook, and if the referred member gives your PBS Nickname when registering any resulting referrals will be credited to you. let your email do the talking. You can find email sigs on the Spread the Word page that you can use for your regular email, making sure that you are sharing with every email you send; you can also send Tell-a-Friend emails from the Spread the Word page.